Springhill supply, install, service and troubleshoot all of the main water softener brands including Fleck, Autotrol, Siata and Clack. Our extensive range includes simplex and duplex systems. Technical Director, Matthew Wilson has installed and serviced hundreds of commercial water softeners in his 30 years of working in the water softener industry, Matt is considered to be a leading figure in the water softener industry and he regularly presents to industry specialists and Environmental Health Officers. Managing Director Geoff Nemec MSC, CIWEM CEnv has worked in the commercial / domestic water softener industry for over 25 years including key roles the worlds leading water softener and filter manufacturers. Duplex vs Simplex. Where water usage is high and the period between backwashing is less than a day a Duplex system provides continuous treated water. Put simply, the valves switch between vessels to ensure that one vessel treating the water whilst the other is backwashing. Water with less than 20 CaCO3 mg/l (ppm) can be described as soft water. A hardness of 100 CaCO3 mg/l is classified as medium hard; 200 CaCO3 mg/l hard, and anything above 350 CaCO3 mg/l as very hard. Our water softener range is designed to deal with wide variety of hard water situations. 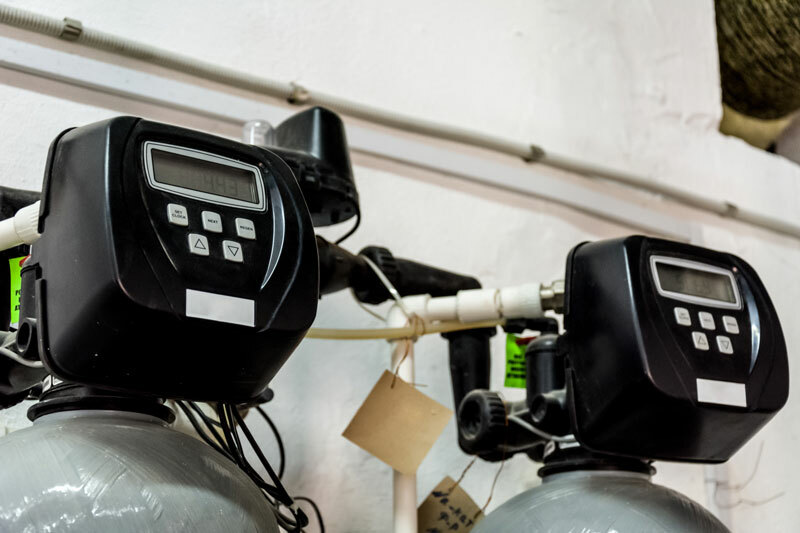 The price of a water softener will vary according to site conditions. 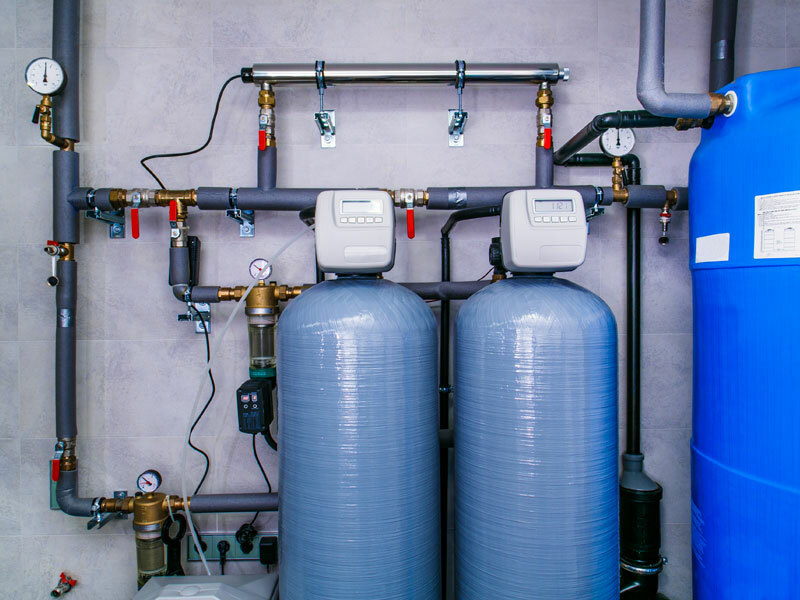 Water Softener size and configuration is dependent on peak flow, daily water usage and the application. Water softeners prevent the build-up of scale inside calorifiers, hot water pipes and inside domestic and industrial appliances. Softened water reduces detergent use. Softened water has many cosmetic benefits including softer towels and bed linen and soft water is kinder to skin conditions such as eczema are psoriasis. 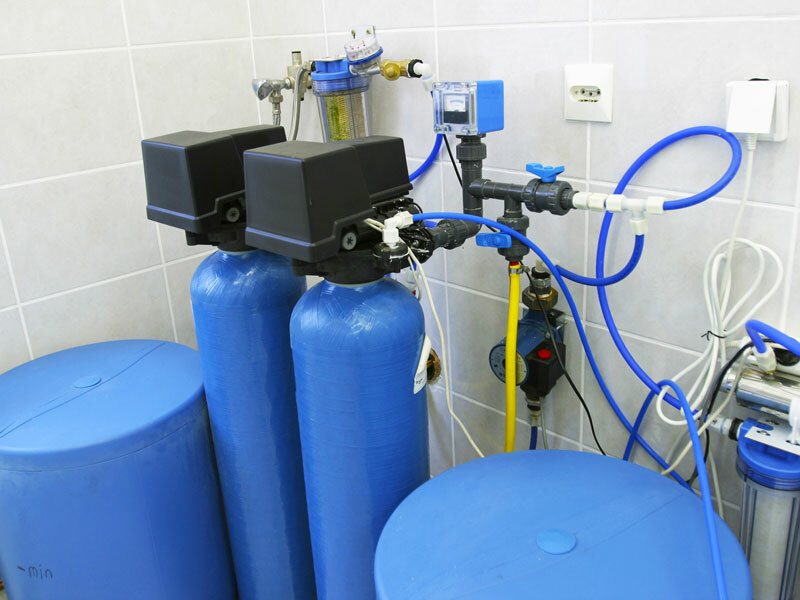 We guaranteed the performance of our water softener systems. We install and service all of the main water softener brands including Fleck, Clack, Siata and Autotrol. The Springhill water softener range includes models suitable for installation on a single domestic supply or on a commercial or industrial supply. Larger bespoke systems are also available - please ring 01422 833121 for more details. Guaranteed Results - The Springhill range of water softeners are guaranteed to ensure your water meets the UK and European standards for water. Unique Service - Our unique 'quick valve exchange' system means that servicing costs are significantly lower than for alternative water filter systems. Tried and Tested Technology - Over 30 years of research and development means we can guarantee the performance of the Springhill Water Softener range. “We have worked with Springhill for many years. Mathew sized and installed our first commercial softener over 10 years ago and Springhill have supplier 5 other commercial softeners since then. The Springhill engineers regularly maintain the softeners and always respond within 24 hours should we have any problems. Maintenance Manager. College / Boarding School in North Yorkshire. Visit our warehouse in Mytholmroyd near Halifax, ring 01422 833121 or send us an email. We will beat any genuine quotation for equipment (UV Disinfection units, UV bulbs, quartz sleeves, UV ballasts, Iron water filters, pH correctors, booster pumps, borehole pumps, pressure vessels, arsenic reduction, fluoride reduction, lead reduction, sediment filters and water pipes & fittings etc.). Equipment can be installed or provided on a supply only basis and we are happy to discuss DIY installations and service procedures with our customers.